I custom ordered some fabric for Adam from Spoonflower, a new company that I just love. 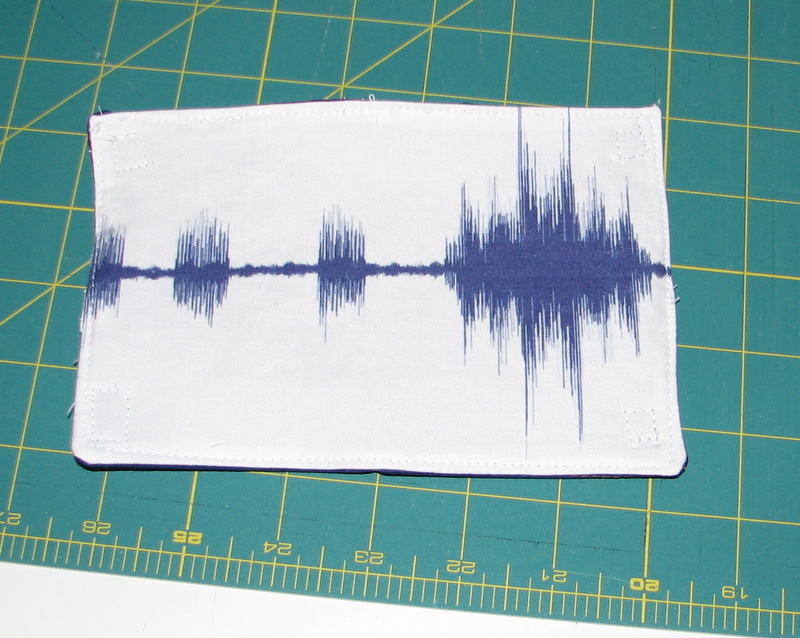 I Photoshopped this sound wave design and had it printed on a couple of yards of fabric. I’m sure I will be using it a lot in the future, but this year for Christmas I just made him this macho tea wallet. 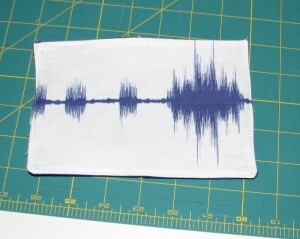 I saw the tutorial from Christy’s Creations on Sew, Mama, Sew during their November Handmade Holidays. 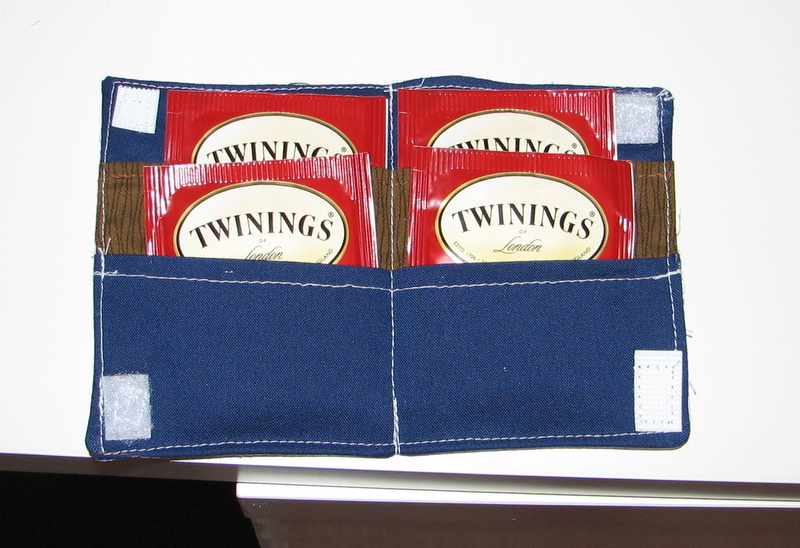 Adam actually saw me looking at this one day and said, “I want a tea wallet!” I said, “Really?” And so it began. I tried to use manly colors on the inside (blue and brown), and rather than put in a button closure like the tutorial shows I used Velcro. Nothing is manlier than Velcro. This went in Adam’s stocking, and I think he liked the final result. Filled with packets of English Breakfast tea, of course. 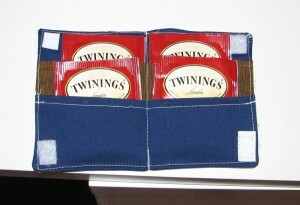 This is manly as a tea wallet could possibly be, I think.